A well presented Grade 11 Listed Sixteenth Century Hall House with a double garage, standing on a plot of 0.27 Acres and with far reaching countryside views. 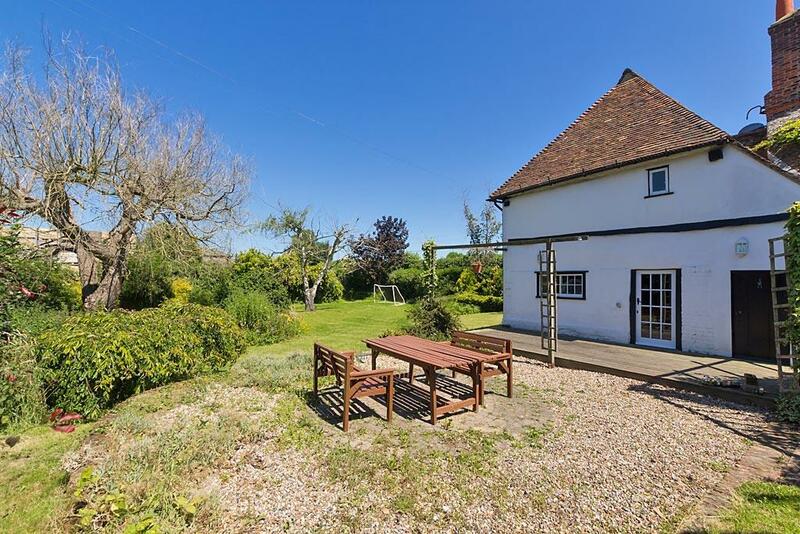 Situated in a quiet location close to the Saxon Shore this spacious family home offers a wealth of character with exposed beams and open fireplaces. There is large principal reception room with a feature Inglenook fireplace together with four double bedrooms on the first floor, two of which have en-suite bathrooms and a family bathroom. The gardens are established, overlook open farmland and there is a gravel drive, with parking for several cars, leading to a detached double garage. Blacketts Road is situated 3.6 miles north east of Sittingbourne and 2.8 miles north west of Teynham. There are local shopping facilities in Teynham, a highly regarded Primary School in Bapchild, 1.70 miles away, and town centre shopping facilities in Sittingbourne together with a good choice of schools for children of all ages and a mainline railway station with fast services to London.